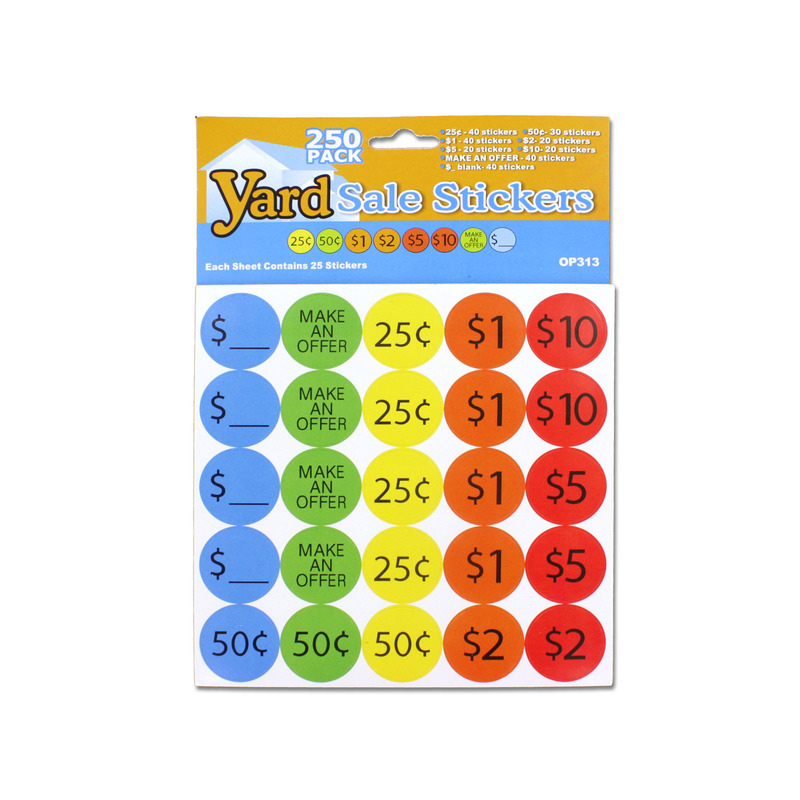 Make selling easy with this 250 pack of yard sale stickers. Set comes with 10 sheets of stickers and includes: 40 blank stickers, 40 "make an offer" stickers, 40 "0.25" stickers, 40 "$1" stickers, 20 "$10" stickers, 20 "$5" stickers, 30 "0.50" stickers and 20 "$2" stickers. Each sticker is approximately 1" in diameter. Comes packaged in a poly bag with a header card.